Inkuten.com, We are your one-stop-shop for all your printer ink needs. 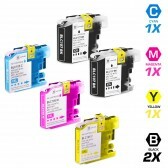 We carry a full line of ink cartridges, toner cartridges, ribbons, and laser toner, for nearly any make and model of printer, copier or fax machine. Browse our comprehensive online catalog to find ink cartridges, laser toner, printer ink and more at wholesale prices. When you shop Inkuten.com, it pays to buy in bulk. We offer wholesale pricing, as well as free shipping on all orders over $50 to customers within the contiguous US. So, stock up on toner cartridges, printer ink, and laser toner, and leave the shipping to us. 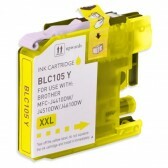 Eliminate the Guesswork: At Inkuten.com we've taken the guesswork out of buying ink cartridges, toner cartridges and laser toner. We've set up a user-friendly online catalog to help you narrow down the product you need via brand, printer type or model number. Once you find the ink cartridge you want, you'll find a list of compatible printers, copiers or fax machines. It's a second layer of protection to make sure you are buying the exact laser toner, toner cartridge or ink cartridge you need. Easy Online Ordering: Shopping at Inkuten.com is fast, easy and secure. We accept all major credit cards, as well as PayPal and Google Checkout. Return customers will enjoy even faster and easier checkout, as their customer information is securely stored and retrieved the next time they visit for convenient, hassle-free shopping. Satisfaction Guaranteed! If you are not satisfied with our products, we'll refund the purchase price of your order. We stock our products in 3 warehouses throughout the US California, New Jersey and Florida. 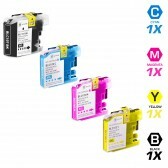 for the famous brands, being HP, Brother, Dell, Samsung, Lexmark, Sharp, Xerox, Epson, OKi, etc. Prices are extremely attractive, and big discounts are available on bundles. We usually ship all orders same day and we send e-mail with tracking number the day your order ships. 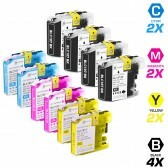 Inkuten.com carries nearly every brand of ink cartridge, toner cartridge and laser toner available, from manufacturers like Brother, Canon, Dell, Epson, HP, Kodak, Konica-Minolta, Lexmark, Kyocera Mita, Panasonic, Ricoh, Samsung, Sharp, Xerox and many more. So, don't wait another minute! Find the ink cartridge, toner cartridge, and laser toner that you need today, and experience our fast, reliable shipping and friendly customer service. Inkuten.com, is your one-stop-shop for all your printer ink needs. 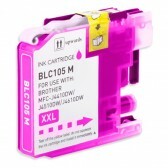 No Cheap Products, Only High Quality Cartridges Guaranteed - Beware of cheap ink cartridges and cheap toner cartridges from other merchants that can leak. Our products are manufactured or remanufactured by ISO-9001 certified factories. We are so confident that you will be satisified with the quality and compatibility of our products that we offer 1-Year Money Back Guarantee. 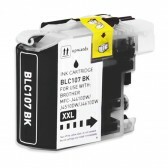 Stock up on your toner cartridges or inkjet cartridges for your printer, fax or copiers without worries. We buy from factory direct in huge quantities and pass the savings on to you!. Volume discount for your organization on 10 or more printer. fax or copier cartridges can save you even more!